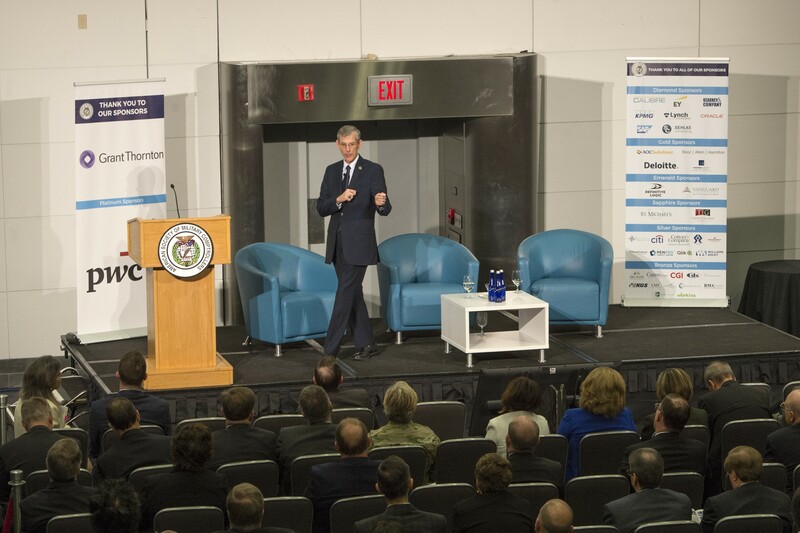 WASHINGTON -- Acting Secretary of the Army Robert M. Speer gave the keynote address to a large crowd of government and industry financial managers at the 2017 American Society of Military Comptrollers' National Capital Region conference held March 9, at the Ronald Regan Building and International Trade Center. "We need to show that the money provided by Congress to the Army is making a difference in readiness," said Speer. He continued by saying "to tell the Army Story about how the taxpayer dollars are being used starts with financial managers." Yesterday, the House of Representatives passed the Defense Spending Bill that mirrors the National Defense Authorization Act passed in December. It calls for increased procurement and a mandate of more active-duty troops in the Army. Acting Secretary Speer stated, "we should focus on creating better readiness through current force structure." He continued "we should use the new troops to fill out our current ranks, provide the best equipment available, and continue the push to modernize our dated weapons systems." The Secretary called for comptrollers to advise Army senior leaders on where to use the money effectively to get the desired outcomes for readiness while smartly modernizing. He also emphasized the importance of accelerating auditability to achieve operating effectiveness. "We should be agile in our responses as well as timely and responsive," said Speer. Army senior leaders from across the commands have stated that operational tempo is the driving force behind the struggle for units to achieve readiness. "As I have traveled to places like Fort Bragg I have seen our tired installations and the resources needed to complete the mission" Speer continued "when you provide finical management advice you have to know outcomes matter and those outcomes lead to units being ready to deploy." According to the website, a conference like the American Society of Military Comptrollers "help leaders learn, share insights, and help advance critical business outcomes needed for our warfighters." "We need to train our leaders to be well rounded and have the tools to provide timely, accurate, and reliable financial information to enable leaders and managers to incorporate cost considerations into their decision-making," said Speer. Acting Secretary Speer could not emphasize enough how important professional development is. "I remember helping organize this conference in the past and how the discussions and speakers yielded so much useful information," said Speer. 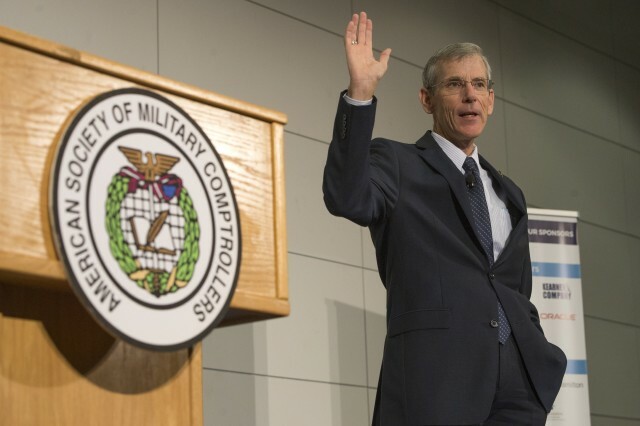 With new emerging threats, budget pressures and the need for modernization, Speer issued a challenge to the audience. 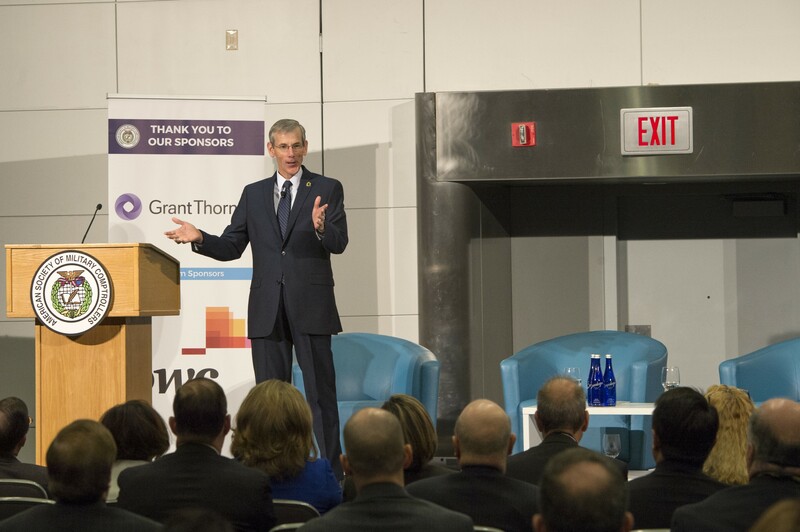 "You need to step up and transform how we think to meet today's challenges," said Speer.